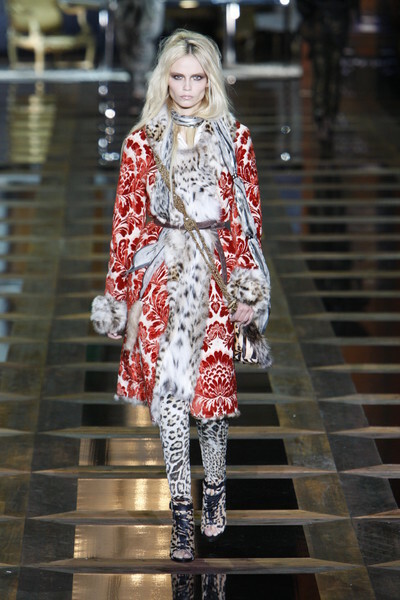 It was a every inch a very decadent show at Roberto Cavalli. But decadency is part of the house’s dna. And like more designers in Milan, Cavalli celebrated his roots (he’s 40 years in business no, and yes the guy is 70) and went back to the early days when he was designing for the happy, hippie few. 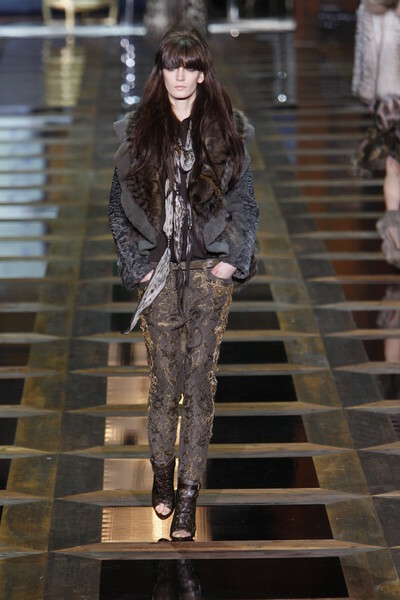 Cavalli’s fw2010 collection was shaped around the rich hippie, bohemian look of his early days in the seventies. 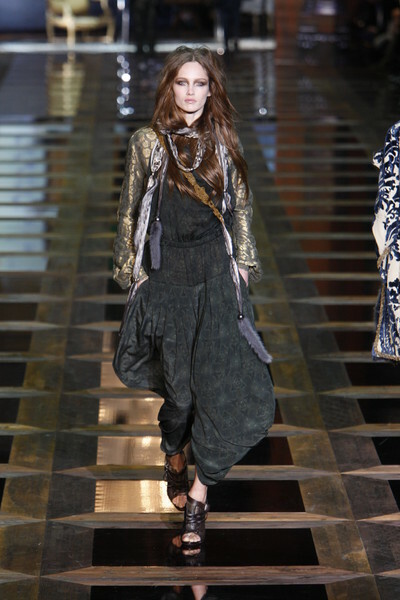 Lots of harem pants, draped dresses in tulle, long floorsweeping dresses, brocaded military coats, jackets in studded leather, faded animal-prints and embroideries all over. 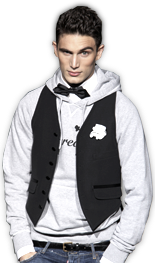 Colors were dark and rich (black, white, gray, red), the styling was mix & match.